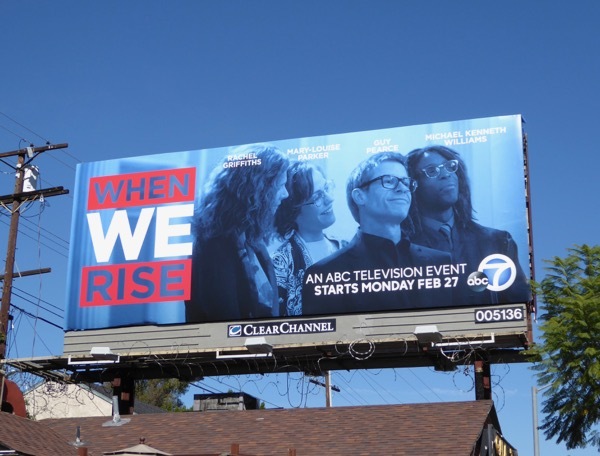 With so many of our civil liberties and equality being challenged by the new administration, there's never been a better time for the new docudrama When We Rise, which chronicles the gay rights movement in the United States of America starting with the 1969 Stonewall riots in New York City. 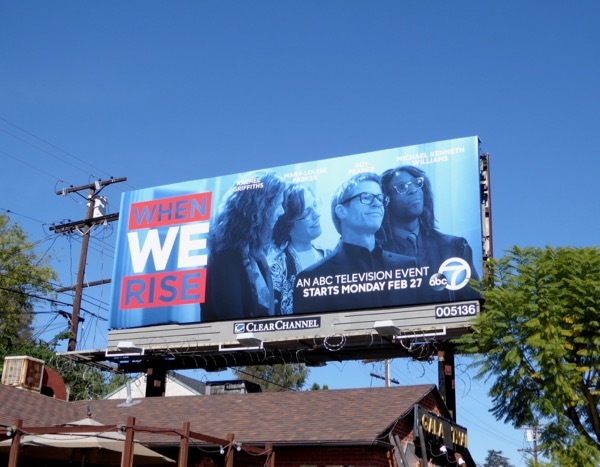 The four-part event mini-series is written and created by Dustin Lance Black and is partially inspired by LGBT rights activist Cleve Jones and his memoir When We Rise: My Life in the Movement, with the initial episodes directed by Gus Van Sant. Guy Pearce portrays an older Cleve Jones alongside a star-studded cast which includes Rachel Griffiths, Mary-Louise Parker and Michael Kenneth Williams. The series follows him in the early 1970s as he moves to San Francisco and meets iconic gay activist and the Castro district's camera shop owner, Harvey Milk, who encourages Cleve to stand up for equality in the political sphere, before his mentor's assassination in 1978, and the arrival of the AIDS epidemic transformed his life yet again as he helped found the NAMES Project AIDS Memorial Quilt. The docudrama which spans forty years of struggle also shows the intertwined lives of Mary-Louise Parker as women's rights leader Roma Guy and Rachel Griffith plays her social justice champion wife Diane, plus Michael K. Williams stars as African-American community organiser Ken Jones. 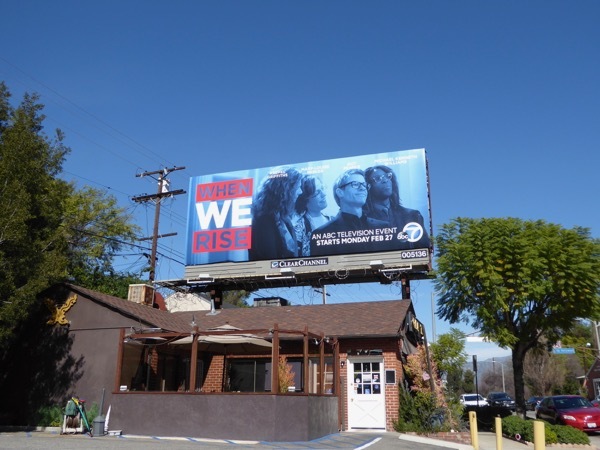 This When We Rise series launch billboard was snapped along Barham Boulevard on February 15, 2017. 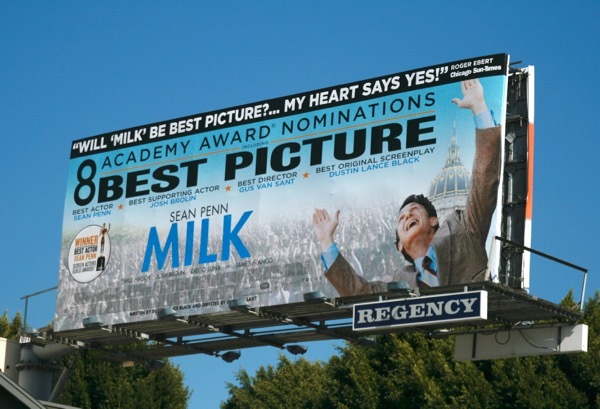 Meanwhile these two bonus Milk movie billboards were photographed along the Sunset Strip during awards season on January 18 and February 11, 2009, respectively. 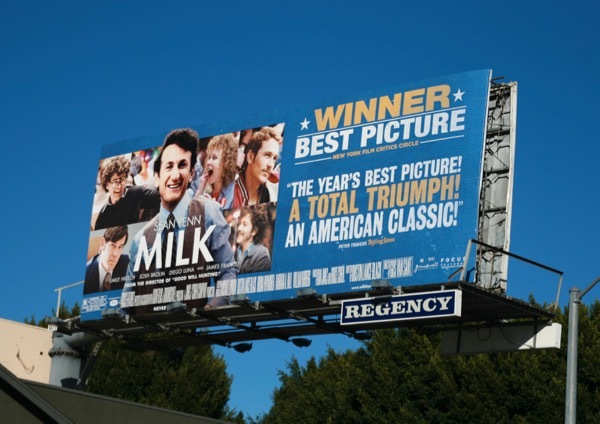 Milk garnered eight Academy Award nominations and earned Sean Penn the Best Actor and Dustin Lance Black the Best Writing, Original Screenplay Oscar, so let's hope that When We Rise will also be worthy of such critical acclaim.